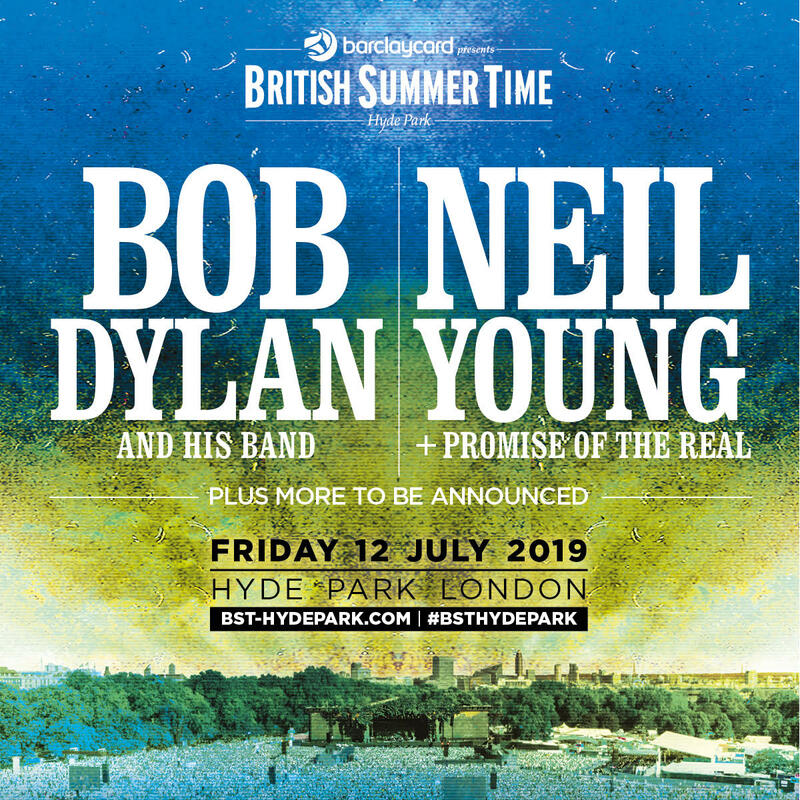 Bob Dylan and Neil Young will be in concert at Hyde Park in London on 12 July 2019. Presale tickets will be available on starting on Thursday, 29 November. Neil Young will be with Promise of the Real and Bob Dylan will be with His Band. More acts to be announced. 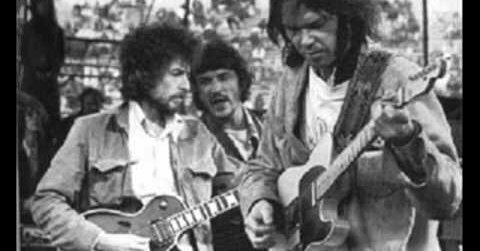 The relationship between Bob Dylan and Neil Young is a fascinating saga. While Dylan is universally acknowledged as the most influential and important 21st century singer-songwriter performing today, Young is among a very small contingent of contenders for second place. Young's integrity and credibility place him among a distinguished group of artists to be compared to Dylan. Dreadful venue corporate rock at its worse - you'll need your wallet and bins to see anything - Young is on first so that's the good news as this will help any early leavers - have you see the prices? This notes for who ? How do I get access to the pre sale ? I can’t see it mentioned anywhere. It’s only the Barclaycard allocation that has sold out, all categories will be available tomorrow. Ain't doing it for Barclaycard this notes for who? cheapest I see is $107 all told. I would pay that. Thats converted to dollar from 84PS. Youll be standing the whole time. Standing 12 hours + support acts to be confirmed - Mumford would help to see if you can fall asleep standing up. There appear to be segregated areas, with the choicest views of the stage for the very rich (or foolish). This is rock and roll for the privileged. The rest can remain in the cheap seats - or in this case stand at the back. How did things come to this? It would be way more rock and roll to pull out of this gig. Incidentally, Barclays were the only UK bank to resolutely stay in business in South Africa during the Apartheid era. I hear Neil is selling some over stocks of Ponos at the show?